Infiniti is a top division of Nissan's luxurious cars. It was founded in 1989 with an aim to come up against top brands in auto mobile market such fellow Japanese Acura and Lexus. 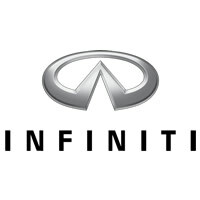 Moreover, Audi and European-based BMW didn't create global network in the time which Infiniti managed to do. Also, the first vehicle was sold about two decades ago so you can always track back to find the history. Infiniti wasn't too much strong when it swept all over the American land but the speed was appreciable. This was also a part of orientation commercial tsunami. It was new and didn't show off hard enough to be very well known as stated that it didn't have much strength. However, the Q45 was their fist model and it resulted in poor sale results. Now, after this poor response from their customers, it is believed that Q45 advertising was a slight bad campaign. The Zen-inspired commercials were made in an attempt to attract people towards their cars and force them to buy. It either showed the car briefly or just the name and the look in other cases. Somehow, the production of superior automobile with good quality paid off with good results. The concentration and hard work paid off and the redesigned Infiniti models are based on Nissan's platforms. Sporty G37 comes under the category of latest range which is an exception and shows the company wants to make their own separate name in the market. SUV FX also reflects the aim to be a different entity. It does not matter what were the intentions of making ads and the strategy used to think over making ads, but the Infiniti has always been customer attractive in any case. The sleek design and exceptional uniqueness is attractive no matter what. The Q45 model consists of 4 wheel steering along with active suspension. Also, it sported a brawny 278 hp V8 engine. The Zen-inspired commercials were made in an attempt to attract people towards their cars and force them to buy. It either showed the car briefly or just the name and the look in other cases. A badge or logo always reflects what the company offers and what its aim is. 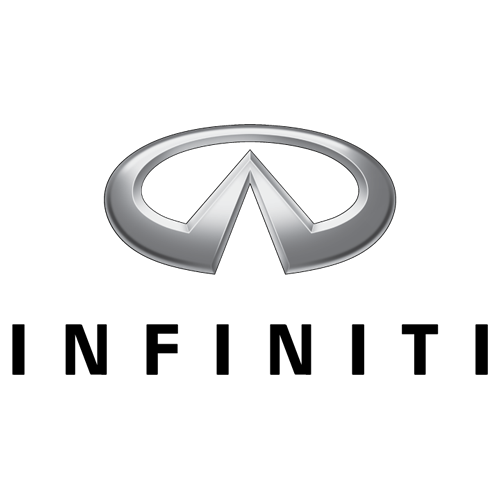 Similarly, the Infiniti badge also shows that the company would in future, carry top quality products that would be sold with good profit and in huge amount. An unfixed horizon point is always ready to come close to horizontal bars shaped in order to create stylized highways. Furthermore, being a stable brand ever since it started to sale top cars, infinity has always been trying to stay on top in the auto mobile market. Infiniti also considered the fact that European markets had surpassed conventional and top brands that are known as Lincoln and Cadillac. When it all started to sale Q45, then the early 1990's witnessed a new model from Infiniti, the M30. This M30 was sold even more slowly than the Q45. QX4 was introduced during the mid 90's which was then used to be known as different version of the Nissan Pathfinder. This was the first company to make Luxury SUV cars after Jeep and Land Rover. The funds existed in low amount at Infiniti, and it resulted in poor sales as the products were developed insufficiently. It was the same case as of Hyundai, the Infiniti weren't well known but it worked hard on making a new improved version or something special which would show the hard work. The new range secured company's survival as it was new and different range which got sold. G35 marked a new stage in 2003 when it was released.